My favorite Star Trek character in my favorite Star Trek movie. What does a koala have to do with UAS? Read through to find out! Today I want to briefly touch on programs that universities are beginning to develop in order to educate future UAS developers and users. The programs are just starting to proliferate, but I will focus on a few. The UAV Marketplace has a list of universities offering anything from UAS majors to clubs and it appears to be fairly up to date. There are only a few schools in the U.S. offering a full-scale UAS major. One is the University of North Dakota. I chose to mention UND because the Northern Plains test site has been active in developing its capabilities and was recently in the news when it received two COA’s from the FAA. The University’s course catalog, as of February 2015, states that the major is aimed at the civil UAS industry, a Commercial Pilot Certificate is required, a minor or second major is strongly encouraged, and that a number of courses are restricted to U.S. persons. The final note is an important consideration for any schools considering such a program. The courses are restricted because they discuss technology covered by the ITAR (Avit 331 – Unmanned Aircraft Systems; Avit 332 – UAS Ground Systems; Avit 333 – UAS Sensor Systems; Avit 334 – UAS Comm/Telemetry Systems; Avit 338 – UAS Operations). Another U.S. University with a UAS major is Kansas State Salina. They have access to the Smoky Hill Weapons Range for DoD related projects and recently received a statewide COAs from the FAA. These majors will teach a student all aspect of drone operation, but most UAS are being used for imaging of one form or another. A university in my hometown of Rochester, NY is pulling from the imaging experience of the city (original home of Kodak, Xerox, and Bausch and Lomb). The Rochester Institute of Technology now has the Chester F. Carlson Center for Imaging Science, which is well-poised to develop UAS imaging technology. Some also hope to turn Rochester into the Drone Capital of the World because of its imaging companies. The article mentions Pictometry International, which developed a technique of stitching together aerial photos from low-flying airplanes to create overhead images that look three-dimensional. The article also points to Exelis Geospatial Systems, which has built the camera systems for most of the commercial imaging satellites. These cameras can pinpoint a ground location to within a few meters, even while flying at 17,000 mph and over 350 miles above the ground. Both companies are based in Rochester and well-positioned to leverage their imaging expertise with UAS. Finally, universities have been actively performing applied research. In a photogenic example, the Queensland University of Technology’s Australian Research Centre for Aerospace Automation is using UAS equipped with heat sensors to monitor the decreasing koala population in Australia. 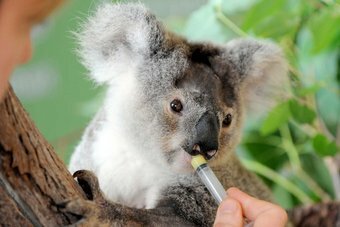 The first flight was tested in bushland near the Australia Zoo on Queensland’s Sunshine Coast and was developed to help researchers better understand koalas and why they were not surviving relocations. I’m out in San Diego working hard but also enjoying their version of “winter” (highs in the upper 60’s – this is not a complaint by any stretch of the imagination). I’m hoping to get out to Torrey Pines this weekend, so I’ve included a drone video of this beautiful park. 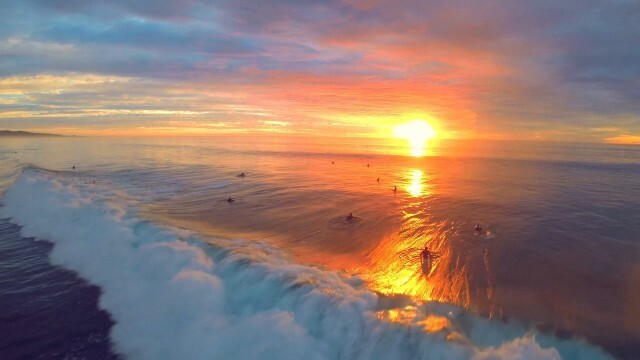 It made me think that I should write about UAS in San Diego. I’ll start with invasion of privacy, since that is hot news in the press. California has some of the toughest invasion of privacy laws in the United States. In the most basic sense, you can’t trespass to get a picture of someone. This predates UAS, since the state has attempted to limit paparazzi for decades, but now drones allow you to take pictures without physically trespassing. A well-known case in the early 90’s illustrates the limits of the law. Barbara Streisand sued a company making a photographic survey of the California coastline, including her oceanside mansion, but lost because there was nothing offensive or invasive about the distant photograph. This was a manned flight, but now Californians, not just movie stars, are worried about drones invading their privacy. In response, a bill was passed last year to amend California’s invasion of privacy law. It is now illegal to make a recording with a device (i.e. : a drone) that is “offensive to a reasonable person,” of a person “engaging in a personal or familial activity under circumstances in which the plaintiff had a reasonable expectation of privacy,” when the “image, sound recording, or other physical impression could not have been achieved without a trespass unless the device was used.” (Cal. Civil Code §1708.8(b)). In layman’s terms, if you can’t get the picture without using a drone, you are violating the law – even if you are not actually trespassing. One who violates this provision is liable for damages to the aggrieved party and a civil fine of between $5,000 and $50,000! California also has other bills pending. One that would have restricted the ability of law enforcement to use UAS was vetoed by the governor last year . Two similar bills have been introduced this year and are under consideration. Assemblyman Jeff Gorell, who introduced the legislation that was vetoed, makes a good point. It is important to pass balanced UAS legislation before more dramatic action, such as a full ban, occurs. 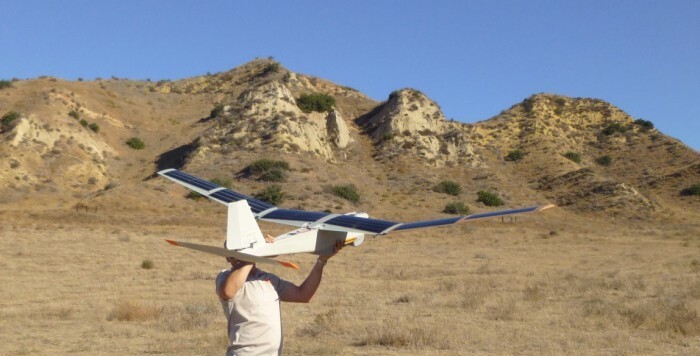 San Diego County has a particular interest in UAS. The area is a hotbed of defense contracting, which includes General Atomics and Northrop Grumman, makers of the Predator/Reaper and Global Hawk, respectively. The Union-Tribune article also cites a National University System Institute for Policy Research (based in San Diego) study from 2011 that found the UAS industry added $1.3 billion and more than 7,000 jobs to the county’s economy. I wrote previously about AeroVironment, which had been granted permission by the FAA to use its Puma UAS to survey BP assets in Prudhoe Bay, Alaska. The authorization take the form of a restricted type certificate, a broader but more difficult to obtain authorization than the 333 exemptions. AeroVironment is based in Southern California and can boast that the first over Prudhoe Bay flight occurred on Sunday January 18th! It is great to see an area’s economy benefitting from UAS and I hope San Diego can continue to develop this technology. On Monday February 23rd, On Point with Tom Ashbrook had a segment entitled “All-American Drones.” You can listen to the podcast and review the comments from listeners by clicking on the link, but I will summarize it below. To readers of Droning On, most of the topics will not be new, but it is good to see what others are saying on the issue. Mr. Nicas wrote an article last Friday in the Wall Street Journal entitled “Drone Ban? Corporations Skirt Rules,” which is self-explanatory. He started off the segment by discussing some of the uses to which drones are already being put in the United States and abroad. Drones are being used in small to medium-sized farming to monitor crops and collect data for a new technique called “Precision Agriculture.” The draft rules from the FAA would still preclude their use on large farms because of the line-of-sight rules. Construction is another area in which drones are being put to use. Construction companies have been unable to collect desired data about their site progress due to the pace of construction, but UAS can fly over the site every day to create three-dimensional models. These models can be laid over the site plans to determine if the progress is as planned. Snow-covered roofs. I wrote about this yesterday. Mr. Nicas also addressed frequent headline news – Delivery drones from Amazon. This would still be prohibited, both because of the line-of-sight requirements and a prohibition on external loads. He was relatively understanding of the FAA’s slow progress, given the increase in air traffic that drones will bring about. He was also happy because many in the industry were worried that the FAA would propose manned aircraft-like requirements (including aircraft and pilot certification). As I’ve addressed, the FAA is hesitant because of technological limitations, particularly regarding Sense and Avoid. He did mention a number of companies that are working on Sense and Avoid technology. In addition to General Atomics’ DRR technology and Honeywell working with NASA, he mentioned Intel, Qualcomm, and numerous start-ups. Industry believes they will have Sense and Avoid technology in place by the time the rules are finalized (likely 2017). 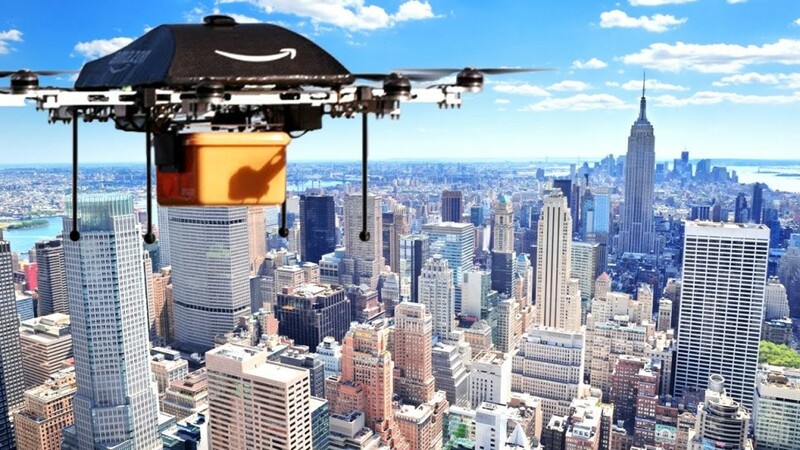 Jeff Bezos, CEO and founder of Amazon, was on with Charlie Rose of CBS and in December 2013 they expected to have deliveries by drones accomplished within 30 minutes! Michael Drobac was excited with the proposed rules. In particular, he was happy that pilot certification will not be required. As he put it, “what does a Cessna pilot know about UAS?” However, he said we are far behind other nations and the proposed rules are not sufficiently elastic for commercial use. He also mentioned a company called Chaotic Moon, which has developed the CUPID (Chaotic Unmanned Personal Intercept Drone) taser drone. Video here (I couldn’t embed it). Mr. Drobac discussed a rancher near Telluride who likes using a drone to survey her cows, saving her many trips up the hill to do the same manually. He also discussed the debate on Capitol Hill, where the issue may be forced with legislation. UAS opinion is not falling along party lines, however: Senator Schumer (D, New York) says he will consider introducing legislation if the FAA will not reconsider their line-of-sight stance, while Senator Feinstein (D, California) wants to see more restrictions. Mr. McNeal, who I’ve mentioned previously, started by discssing the economic dynamic of drones. He responded to a question from a caller by saying that Amazon must clearly see a market opportunity if they are investing millions and hiring Mr. Drobac. He also mentioned other opportunities, such as in bridge and cell tower inspections, noting the higher than average fatality rate among the industry. A caller asked about the “considerable noise pollution” that drones create. Mr. McNeal summarized the rule laid out in United States v. Causby (very briefly: a landowner has rights to some airspace above his house – a case interpreted and fought over in courts for decades as airports expanded). Amazon UAS will operate at 300-500 feet and create much less noise at ground level than your average UPS truck (and in the author’s case, the even louder noise created by his dog). He also noted that Google’s prototype will not even land but rather use a tether to lower the delivery. In short, innovators are hearing the public’s concerns and creating new technology to address these issues! A caller asked about the legislation in his state that would allow one to shoot down a drone over their land. Mr. McNeal reminded the audience that since the FAA considers UAS “aircraft,” there are severe penalties associated with such conduct. There was a brief FPV discussion, and Mr. Pirker came up. The take-away is that it isn’t always about the aircraft, but about the skill of the user. Mr. Pirker has flown around New York City and the Statute of Liberty and through tunnels with his FPV goggles. But he is that good. Next, insurance was addressed. I am going to have a guest blogger in the near future talking about the insurance aspects of drones in more detail. FAA guidance hasn’t stopped people from flouting the rules and nothing can make an activity zero risk. Even if users don’t fear the current FAA ban, commercial users will heed the guidance of their insurance carriers and take steps to fly safely and keep their premiums low. Mr. Drobac also discussed the safety risks and was concerned about the underutilization of the test sites. He said that many potential users want to test their skills and plans in controlled environments, and have been asking for time at the test sites to do so. He is attending a conference in Santa Cruz in May where they will be looking at reams of data on testing and discussing safe operation. A caller asked if we are losing the “Drone Race” (see my comment at the end of this post regarding the “Space Race”). Other countries, like France, are allowing their operators to fly beyond the line of sight. They don’t care about their citizens less, but it does show how we are falling behind. In defense of the FAA, we do have a complex National Airspace, but that excuse only lasts so long. The comments online were generally against the “one-hour long commercial for Amazon.” Writers felt that the segment didn’t address the privacy or human rights concerns. As for the latter, this was about commercial, not military UAS. As for the former, I wish it had come up. As I’ve discussed, I think there are good answers for that. However, Mr. Ashbrook couldn’t have done that and the NPRM issue justice in one segment, so hopefully there will be a follow-up segment on the privacy aspects of UAS! All in all, this was a great segment that touched on most aspects of the current regulatory debate. 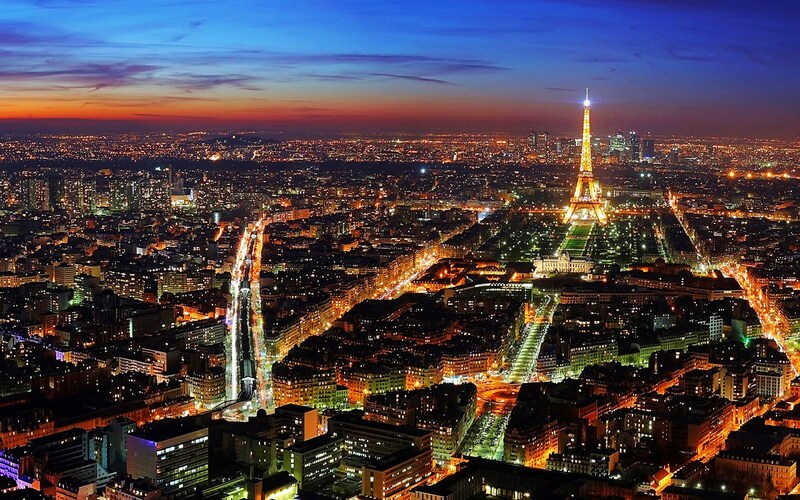 There was UAS news last night, and lest you think I forgot: drones were spotted over a number of French landmarks, including the Eiffel Tower, Place de la Concorde, and the American Embassy in Paris. We don’t know much about this yet, but I don’t think it changes the dynamic. Just as people can buy guns illegally, they can fly drones in violation of no-fly zone rules. France is investing 1 million Euros in a program to detect UAS in unauthorized areas and I have to imagine we are doing the same. I’ll keep you updated on any developments. 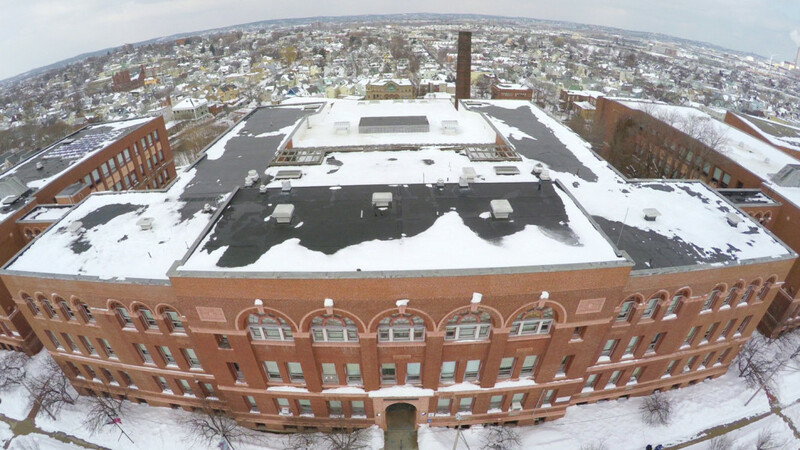 Before heading to warmer climes, some news out of snow-covered Boston… The city of Somerville, just northwest of Boston, is using UAS to inspect city buildings. For those of you who haven’t been subjected to an endless parade of snowstorms or have not lived in snowy areas, roof collapse is a serious concern when this much snow falls and doesn’t melt. The aerial coverage is being performed by a company called “Above Summit,” based in Somerville and boasting a large portfolio of aerial work. The article reports that they are working within FAA guidelines, but does not explain the details of how they are doing so. If you recall my post about batteries, Above Summit said that their UAS can fly for about 15 minutes in warmer weather, but only 5 min in colder weather. I’m in San Diego for work but understand there will be another burst of cold back home, so this is a good reminded to think about battery life before flying. Here is Above Summit’s highlight reel from 2014, which doesn’t include the video of the snow. That can be found here. In warmer news, the Aussies are making headlines in regard to American military UAS. As I reported last week, the Department of State issued a press release summarizing its new, classified guidelines relating to export licenses for UAS. These two stories make it clear that the U.S. is serious about expanding the sale of military UAS within the newly prescribed limits. 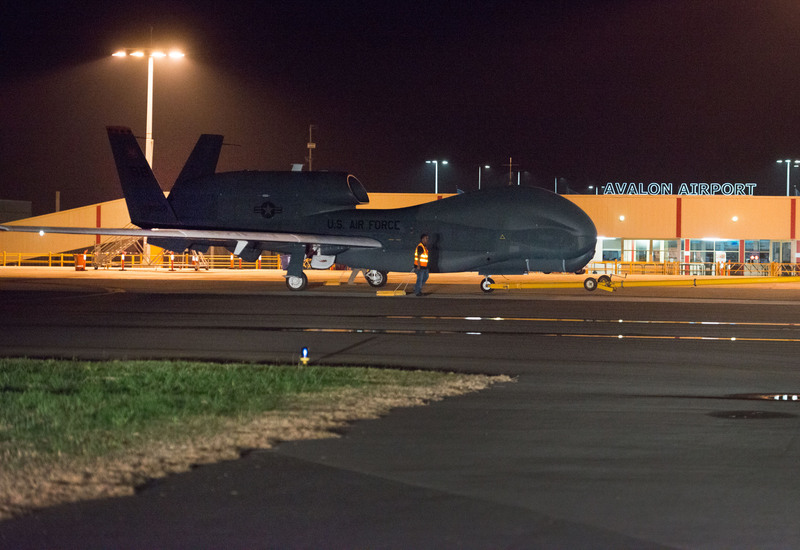 A Northrop Grumman RQ-4 Global Hawk, which set the record as the first UAS to cross the Pacific back in 2001 with a flight from California to Australia, made an encore appearance when it arrived for the Avalon Air Show in Geelong (west of Melbourne). This comes as the Royal Australian Air Force (“RAAF”) is working to procure the MQ-4C Triton variant of the Global Hawk. Reports today also indicate that a number of RAAF aircrew and support personnel are being trained at United States military bases to operate the MQ-9. 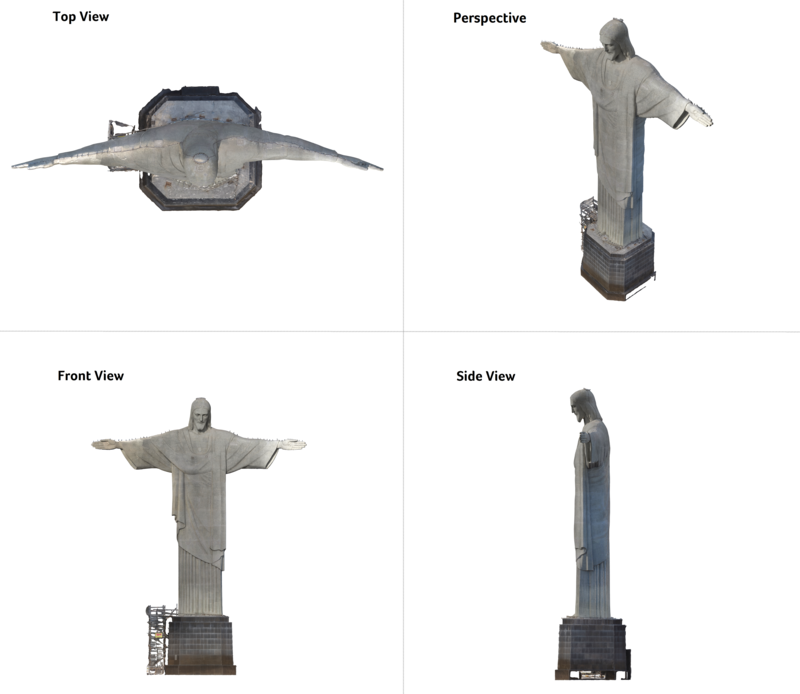 Pix4D led an effort with Aeryon Labs Inc. and PUC University of Rio de Janeiro to produce a 3D map of Christ the Redeemer, the Art Deco statue that stands high above Rio de Janeiro, Brazil on Corcovado mountain. 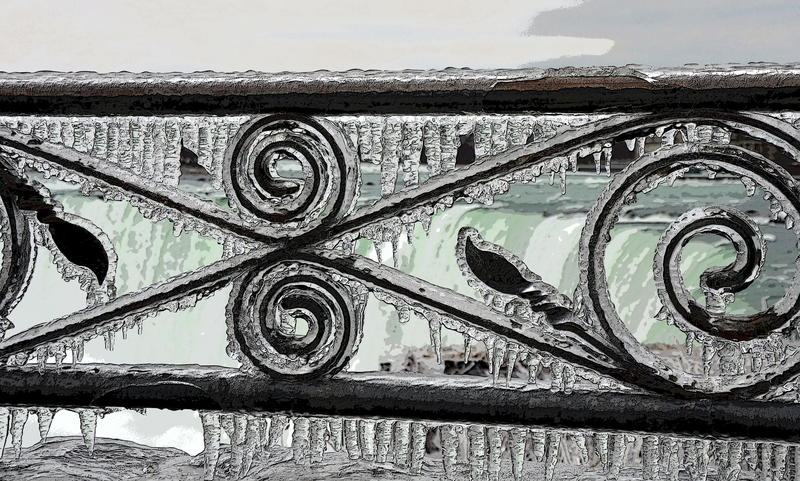 Pix4D develops image processing software that converts thousands of images into a single 2D or 3D image. I was first introduced to 3D image mapping by a local company that I met at the 2014 New England Museum Association Conference called Digital Ark. They are based on Providence, RI and one aspect of their business is to develop searchable 3D images of World War I monuments so that family members can find their relatives names on monuments. It also serves to preserve aging monuments. They are a great company whom I know personally and it is a powerful technology! Aeryon is based in Ontario, Canada, and develops small UAS. Their UAS have been used to aid oil spill cleanup, emergency fuel delivery, drug busts, and local police departments. 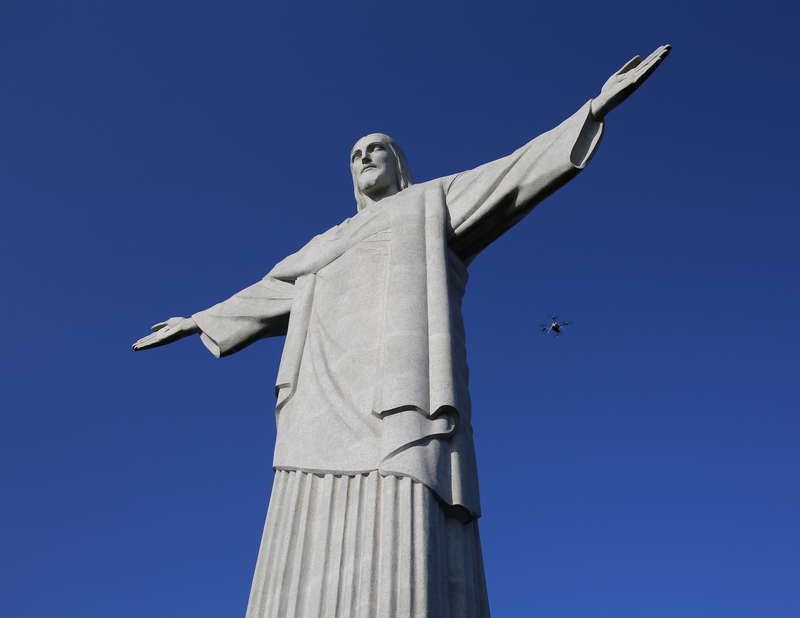 Due to the unique location of the statue, an accurate 3D map had not been possible before now. 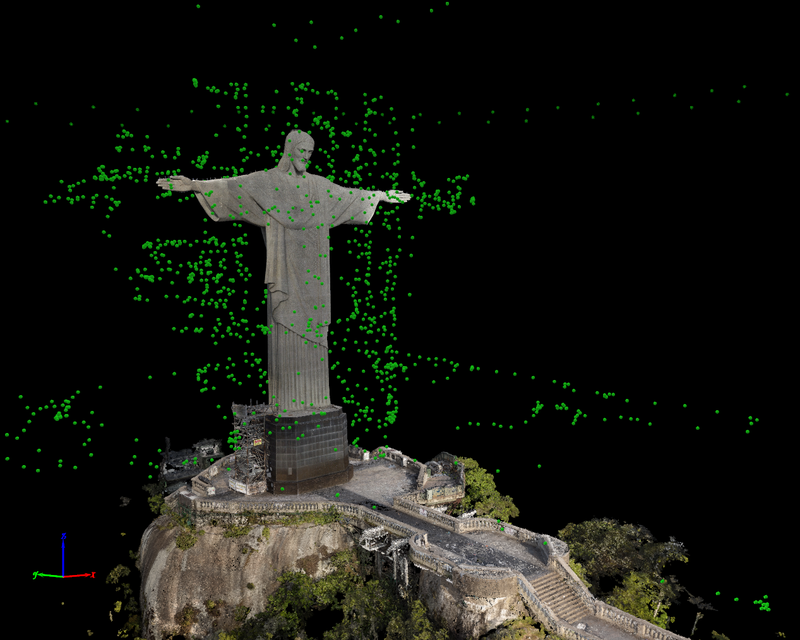 The NEXT Lab at PUC University of Rio de Janeiro contacted Pix4D and coordinated with Aeryon to develop a plan that would allow them to obtain the pictures needed to input into the processing software. “Data was collected for six consecutive mornings, on-site in late October. The main challenges for the data acquisition were the changing weather and wind conditions, restricted hours for data acquisition (flights could only take place before and after visiting hours) and inconsistent lighting conditions (shadows in early morning and late afternoon). A total of 3,584 images were acquired during 19 ten-minute flights.” 2,090 pictures were used to develop the 3D mapping image. A video is below and the technical details can be found in a white paper put together by Pix4D. If you haven’t heard, Niagara Falls is almost 85% frozen over! There have been pictures all over the internet, and NBC News posted a video taken from a drone (from the Canadian side of course – they don’t have the legal ability to use it in the US). 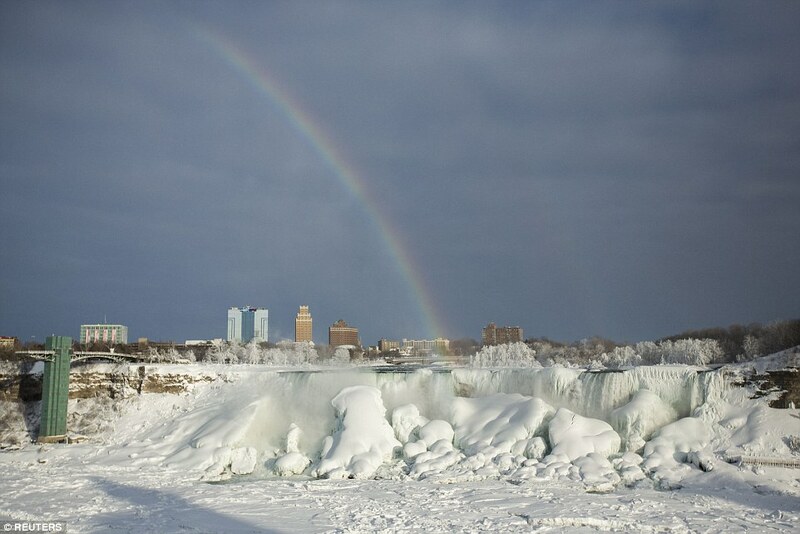 The last time Niagara Falls froze over completely was in 1848! The Daily Mail is great at including pictures in their articles, and they didn’t fail on this story. 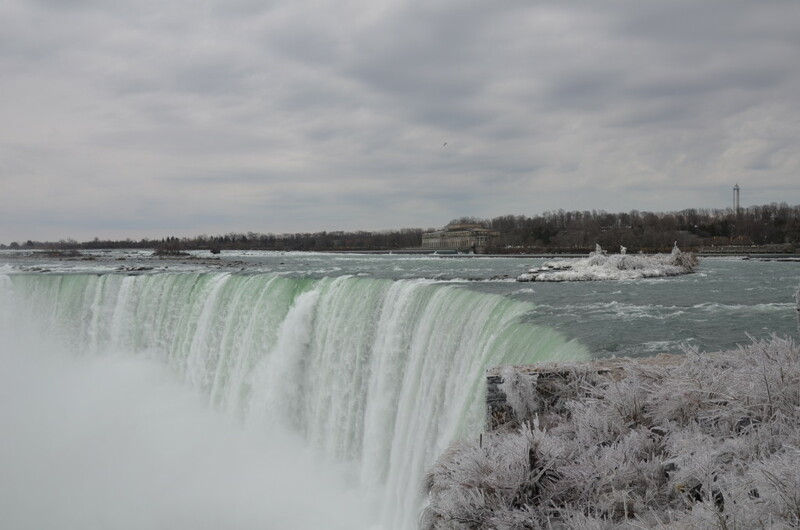 Niagara Falls – I took this photo 3 years ago today! The drone video from NBC is embedded below. I was having some trouble with the embed, so here is the link to the NBC site. There isn’t a ton of actual drone coverage since a good portion is dedicated to interviews, but it is still worth a look. Enjoy. I had a post all set to launch today, but it is delayed until tomorrow. 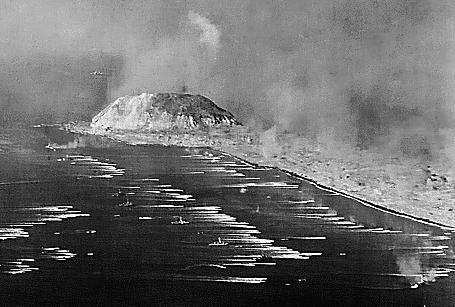 I heard a spot on the news reminding us that today is the 70th Anniversary of the Battle of Iwo Jima. The Marine Corps – Law Enforcement Foundation has started a 36 day drive to raise money for their mission and has asked people to share videos of them and their family/friends raising the flag in memory of the Battle of Iwo Jima. I encourage you to do so – and maybe try to get one from above (to keep in the UAS theme of this blog). If you do PLEASE check to make sure you are within FAA hobby guidelines and if you are doing it in a public place, check with local authorities to obtain written permission! 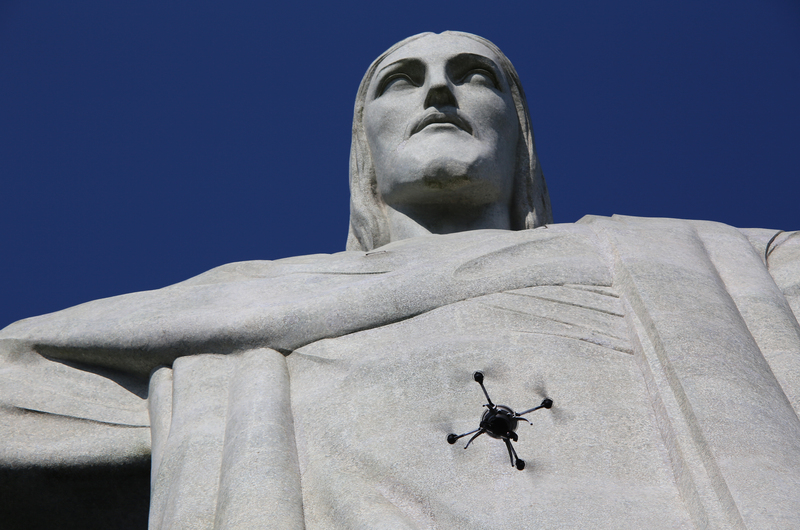 This can be an opportunity to use a UAS to commemorate and important event in our history. 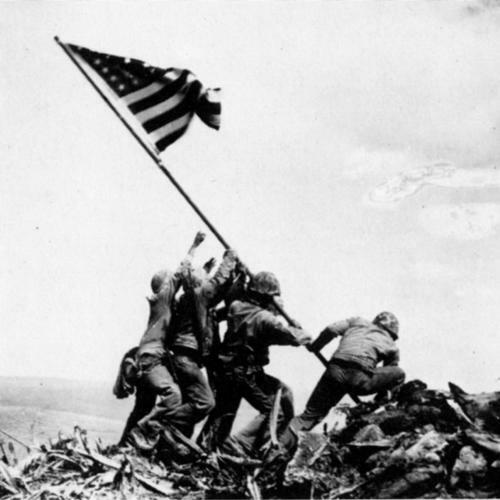 This isn’t the 70th anniversary of the iconic flag raising on Mt. 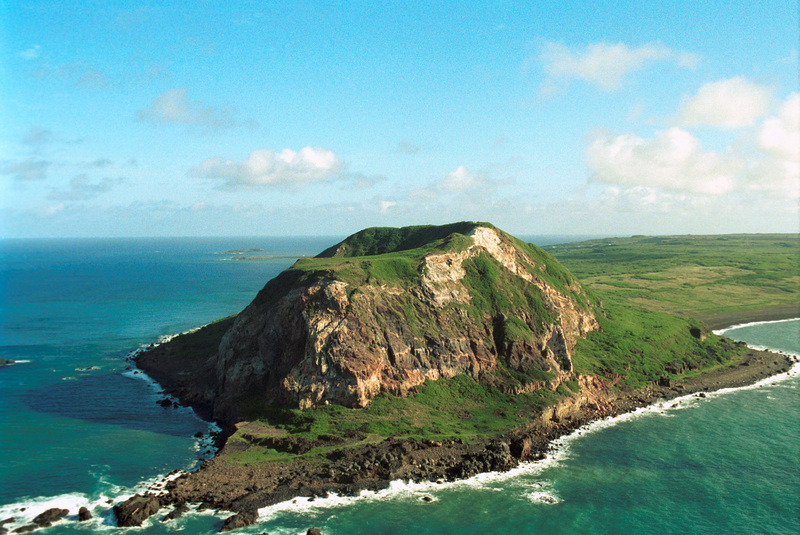 Suribachi – the battle lasted 36 days and the United States suffered heavy casualties (6,800 killed, 25,000 wounded). The Japanese, however, had almost 19,000 killed, virtually their entire force on the island. United States Marines made up the bulk of the American force and my words cannot describe the battle and the loss they suffered. The power of photography to capture a moment is evident in Joe Rosenthal’s photograph of the Marines (and one Navy Corpsman) raising the flag following a hard fought victory. This sacrifice isn’t always being taught in school, so it is up to us to pass to our children the sacrifices Americans have made for our freedom. The Marine Corps – Law Enforcement Foundation’s primary mission is to provide financial support for the education of children of Marines and Law Enforcement officers who died while on Active Duty. We have been at war for over the last decade and have lost many soldiers to battle. Many have left behind children, and the MC-LEF has been working to help those children. The “$70 for 70 Drive” is a 36 day campaign from February 19th thru March 26th. Our goal is to reach $500,000.00 or more in donations. We encourage all patriotic Americans to make a flag raising video, as Greg did, to commemorate the historic flag rising on Mt. Suribachi 70 years ago, and to nominate three of your friends to participate in this campaign. While $70 is the suggested amount, paying tribute to the 70th anniversary of the invasion, any financial contribution is greatly appreciated. HELP MC-LEF reach our goal and continue our mission of honoring our fallen by educating the children of those who sacrificed all. Be sure to include the hashtag #70for70 when you share your video on your social media pages. Additionally, please send your flag raising video to MC-LEF by emailing us at info@mc-lef.org and we’ll share it on our website, Facebook and Twitter pages. (please also add @dophoto or email it to me so I can share). One of the major drawbacks relating to consumer drones is battery life. Some of the best have an advertised battery life of 25-30 minutes and increased battery size is generally not viable for small consumer UAS due to their limited lift capability. Using the camera, and particularly streaming video to your controller. Batteries degrade over time and store less energy. Think about that cell phone that is almost up for an upgrade and lasts about 2 hours on a charge! Cold weather decreased battery efficiency. This isn’t limited to UAV batteries – even the amazing Telsa has seen decreased battery performance. Power reserve to return home safely. Typical 333 Exemptions have offered to land when battery power is down to about 30%. While hobbyists aren’t required to keep such a reserve, it is a good idea! Solar power isn’t ready for prime time on land-based fixed structures, at least in my opinion, because the costs are astronomically high and the cells are made from relatively toxic materials. 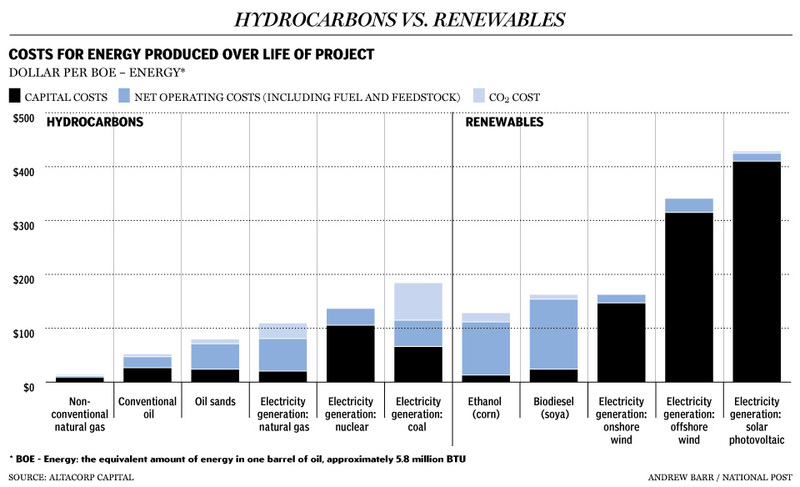 Below is a diagram of the costs of various forms of energy, and you’ll see that solar is the most expensive. However, given the drawbacks associated with batteries on UAS (and that your home electrical outlet can’t run a UAS), solar is promising. But to this point, it has been expensive and bulky. They were acquired about a year ago by Hanergy, an Chinese clean energy company, after it was reportedly having trouble raising investment capital. However, the recent news appears to show that they have the capital to develop their products and are having some success. I’ll keep an eye on it and see where it goes.